A pod of about 12 orcas leapt and surfed the waves around Wellington Harbour and the south coast yesterday. Lyall Bay, cool brisk NorthEaster whipping spray back from breakers. Chubby red 737 from Sydney lands slowly into the Rongotai wind. Dog pretends to lose salty stick amidst blackening beached kelp. Orcas here yesterday, A Right whale last year, Bottlenose dolphins. realsurf shop overlooking them all. Not a great break, but just 20 minutes from the Capital. New Zealand,the Cetacean suicide capital of the world. Singular beaked whales come to die here of loneliness. Boxed wine and blueberries on the beach, before biking back via Houghton bay. 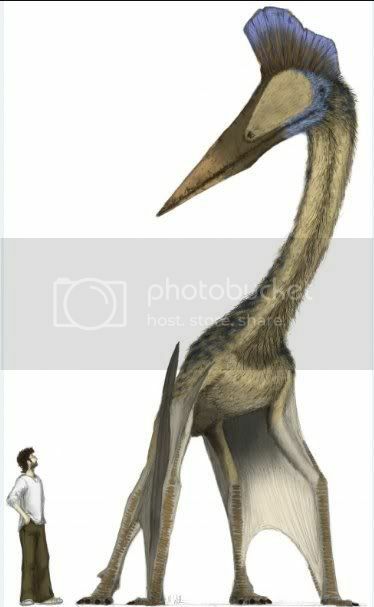 Hatzegopteryx thambema from western Romania... the biggest live flier ever? walked rather well. "over fifteen meters (?) from wingtip-to-wingtip and taller than a giraffe." New book: Feathered Dinosaurs with paintings by amazing wildlife artist Peter Schouten. 30 Into the burning bowels of this earth? Bill's pics are sure large, night murky, & it seems increasingly featuring mud spattered wire draped naked kids, looking like recent violence.